We have what we consider to be some really good news to share with our fans today. As we’ve recently announced, we have ten extremely talented voice artists and actors who have come on board to be a part of the Celflux Animated Short film. We are happy today to announce that we will also have a professional, classically trained musician creating the musical score for Celflux. I had planned to do the same for the Celflux animated short and hope for the best. However, Matthew Curtis (The voice of the High Councilor), on his own initiative, shared the Celflux project with a friend of his. This friend was a classicly trained musician who, according to him, fell in love with the project and expressed an interest in coming on board. 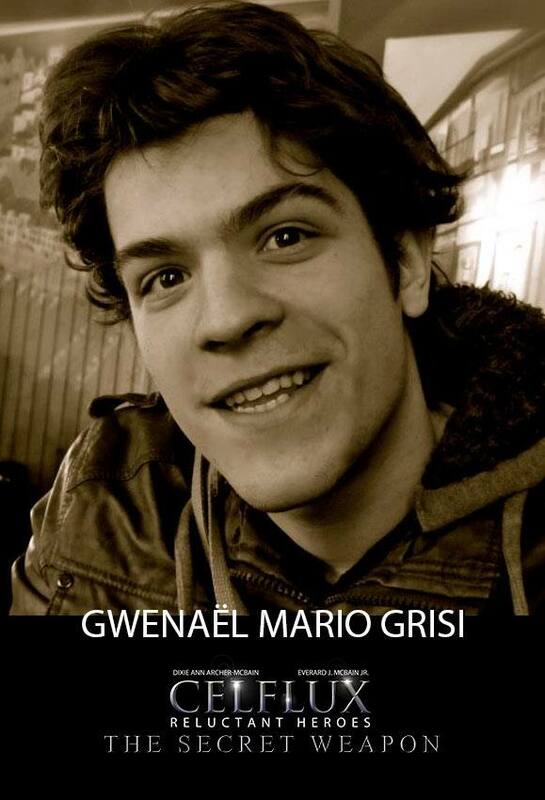 His name is Gwenael Mario Grisi and he started playing the piano at the age of six. He’s studied composition at the Conservatory in Belgium and graduated with three (3) master’s degrees. He’s also studied film editing with the purpose of learning how to better use music to tell stories. As with our amazingly talented voice cast, we are overwhelmed by how lucky we are to have such a talented and professional individual as part of the Celflux team. We would again like to acknowledge Matt’s role in making this happen. Mario had this to say about the Celflux project. Your story is very touching and I’m still completely down for this project. Your art is absolutely amazing, it gives me a lot of good vibes and I’m really happy I can help you for the music. It reminds me some old animated movies I was watching when I was younger, I’m in love with this project! Here’s a sample of Mario’s work performed by the Brussels Phil Harmonic. I always say when we first started working on Celflux we did not have any distinctive plans. We just wanted to do something as the fulfillment of a lifelong dream. We never imagined that Celflux would grow into what it has become and seems poised to become. Thank you to all our fans and those who have given of their time and energy to make it happen. Posted in Uncategorized and tagged animated short, Brussels, Celflux, Celflux Animated Short, CelfluxFilm, comic, Comic Book Colors, Comic Book Inks, comic books, comics, Dixie Ann Archer McBain, Early Inspirations, Everard McBain, Graphic Novel, Graphic Novel Cover, Gwenael Mario Grisi, music, musical score, Saturday Morning Cartoons, sci-fi.